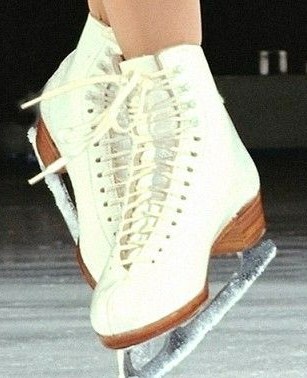 The viewers watched in amazement at the 1973 World Figure Skating Championships as the Russian pair, Aleksandr Zaitsev and Irina Rodnina, continued to skate without hesitation although their music had stopped in the middle of their program. As they completed their routine the crowd rose to their feet in admiration. Through their endurance the pair pleased the judges and won the competition. Music is so much a part of my life that it sometimes seems there is a soundtrack accompaniment to my daily life. During especially difficult times the Spirit appears to bring just the song that is needed to provide encouragement, hope, or perspective. This has been demonstrated repeatedly during my recent cancer experience when I find myself expressing worship, praise, and surrender by songs that flow through me. Then early one morning the music stopped! At 4:00 AM on Sunday morning after my first round of chemotherapy I awoke with extremely intense bone pain in my feet, legs, and hands. Next came acute intestinal distress. In the midst of my agony I became very aware that the music had stopped. The songs which had brought such peace were replaced by one word – “endure.” Next came the assurance that God would enable me to do so. The discomfort prevented sleep and brought a lack of focus on anything I tried to read. Endure! That was all. Relief finally came on Monday evening at about 6:00 PM when I was able to sleep in two-hour intervals. Through God’s enablement I was back at work on Tuesday, in spite of lingering pain. Throughout the entire experience I never thought that God would in any way find pleasure in my endurance. In fact I have come to realize that my desire to please Him often puts more emphasis on avoiding displeasing Him. Could it be that in continuing with a routine of trust and faith in spite of the interruption in the music, I had actually brought pleasure to the One Who loves me best? God seemed to communicate that through my pastor, John Torres, who shared his thoughts on Psalm 147:11, “The Lord takes pleasure in those who fear Him, in those who hope in His steadfast love.” He quoted the Olympic runner, Eric Liddell, “I believe God made me for a purpose, but He also made me fast. And when I run I feel His pleasure.” Could it be that my endurance actually brought pleasure to God as I continued in the lane to which He assigned me, even though I know He was the one who empowered and propelled me forward to complete the program without the music? Prayerfully trusting Him, may I “run with endurance the race that is set before [me]” – even when the music stops.